Uinta County officials have endorsed a private company’s proposal to build a for-profit immigration jail near Evanston. Both Evanston’s city council and Uinta County’s commission unanimously passed resolutions in June to support the Management Training Corporation’s plan to build and manage an Immigration and Customs Enforcement detention center just outside Evanston city limits. The jail would have the capacity to hold 500 undocumented immigrants detained by ICE while they await court hearings in Salt Lake City. Uinta officials are uncertain whether they need Wyoming’s five statewide elected officials to approve the project. It is possible a jail holding immigration detainees does not require the same level of approval as other forms of private prisons regulated under Wyoming law, a county official said. Either way, MTC’s efforts to jail immigration detainees from throughout the northern rockies in Uinta County have thus far gone largely without notice in the state at large. The private jail would be similar to an MTC-operated ICE detention facility in Southern California, said Mike Murphy, MTC’s vice president of corrections marketing. That facility, just north of the border with Mexico, appears from photos on Google Maps to be a large squat building — similar in appearance to a public high school or community college — surrounded by high chain-link fences topped with coiled barbed wire. Security cameras mounted on poles watch the fences. It has the capacity for 782 detainees, according to MTC’s website. The Wyoming Legislature has generally kept the private prison industry at arm’s length with regard to the state’s correctional facilities. Lawmakers have not requested serious proposals from private companies despite receiving pitches to manage or build a replacement for Wyoming’s crumbling penitentiary. However, legislation passed in the early 1990s allowed private companies to build or manage prisons in the state under certain conditions. For MTC, having the support of local officials is a boon for a promising proposal to the feds, Murphy said. “ICE is pleased with the support, they’re pleased with the location of Evanston,” he said. He was not aware of any competing bids in the area, he said. ICE put out a public request for possible detention facility sites on Oct. 12. Though MTC had submitted an unsolicited proposal before that, the company must still proceed through the federal bidding and appropriation process, Murphy said. Local governments are allowed, according to statute, to contract with private entities for prison construction. Before that can happen, however, local governments must receive the consent of the state’s five elected officials. Today, that means Gov. Matt Mead, State Treasurer Mark Gordon, State Auditor Cynthia Cloud, Superintendent of Public Instruction Jillian Balow and Secretary of State Ed Murray. Gov. Matt Mead was not aware of the private jail proposed in Uinta County, nor was his staff, said public relations officer Chris McGhee. “We are excited to learn more and look further into it,” McGhee said. Secretary of State Ed Murray was aware of the project because of Uinta County news reports, spokesperson Will Dinneen wrote in an email to WyoFile. Though the resolutions supporting the endeavor passed in June, Uinta County staff has not reached out to the five officials, County Attorney Loretta Howieson said. They’re waiting to see if MTC can secure the job from ICE first and what a contract or lease would entail. They’re also not convinced an ICE detention facility would be subject to the same state laws that would apply to a private prison. “It is not per se a correctional facility,” Howieson said, instead describing the potential facility as “a civil holding facility for immigration services.” Those held in the facility wouldn’t be inmates but “civil detainees,” she said. “These are individuals who have not necessarily broken the law,” and instead are awaiting hearings to determine whether they are in the country legally or not, Howieson said. The facility would hold ICE detainees an average of 30 to 45 days while they await hearings in Salt Lake City, Murphy, the MTC representative, said. He outlined various aspects of how the new facility could operate. “There will be transport buses going back and forth,” he said. While waiting, detainees will be guarded by officers paid commensurate to what the Wyoming Department of Corrections pays its correctional officers. Detainees will have access to education and vocational programs similar to those offered in Wyoming’s prisons. Local law enforcement has been assured security will be tight at the facility to prevent escapes, according to a report in the Uinta County Herald. The civil detainees would not be allowed to leave. If there’s a difference between a detention center and a prison, it’s “a very fine line,” said Suzan Pritchett, a UW law professor focused on immigration and the justice system. Pritchett has visited an ICE detention center run by a different company in Aurora, Colorado many times. “In procedures and protocols it looks all the same to me,” she said. 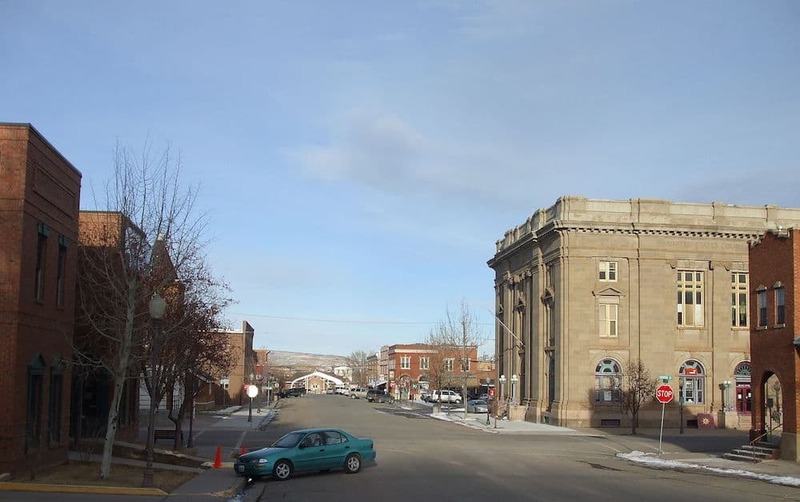 If MTC receives a federal contract to build the facility, and the company develops a lease with Uinta County, then local officials will decide whether they need to seek the five elected officials’ consent. Whether an ICE detainment facility falls under the private correctional facility statute could fall to the Wyoming Attorney General’s office to decide, Howieson said. Attorney General Peter Michael did not respond to WyoFile’s request for comment. If the county needs permission from the state’s five elected officials, it would be seeking it during an election year. All five elected officials’ offices come up for reelection in November. Murray, the Secretary of State and Gordon, the State Treasurer, are both considering gubernatorial campaigns, according to various media reports. Governor Matt Mead is not eligible to run next year. To economically depressed Evanston, MTC’s proposal promises jobs, regardless of whether the facility is called a prison or a detention center. Like much of Wyoming, Evanston has been suffering from a downturn in the oil and gas industry. The MTC facility has the potential to create between 100 to 120 jobs, proponents say. The starting salary for a correctional officer would be approximately $21 an hour, a number Murphy said was “pretty much” guaranteed for a federal contract that would be regulated by U.S. Department of Labor rules. “That’s a pretty good job in this area nowadays,” South said. People with just high school diplomas would be eligible for many of the jobs, he said. The programming MTC would seek to provide in the prison could also create jobs for educators and medical professionals, Murphy said. To build the facility, the company would most likely try to secure bonds through an economic development agency, Murphy said, and the county would own the building once the bonds are paid off. The company hadn’t settled on a source for the funds yet, he said. “We think it’s a win-win,” Murphy said. “We’re not in the real estate business.” The downside to that model, critics say, is that the county could be left owning a building designed for a specific purpose — holding detainees — when and if the political winds driving the need for such a facility change. Though residents and officials said the majority of the town supported the idea, the proposal was not without detractors in Evanston. 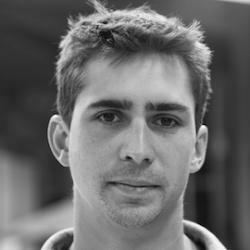 Kayne Pyatt spoke against it at a public meeting in May. The town could be left with an empty prison, she told WyoFile last week. She also doubts the jobs would benefit residents as much as the company has promised, she said. If the company did hire locally, “I wouldn’t want my grandson working there,” she said. Evanston is home to Wyoming’s State Mental Hospital. A reporter for the Uinta County Herald, Sheila McGuire, noted the hospital is also adjacent to Bear River State Park, on the other side from the proposed prison site. “I guess our state park would be in between the state hospital and the ICE Facility,” McGuire said. 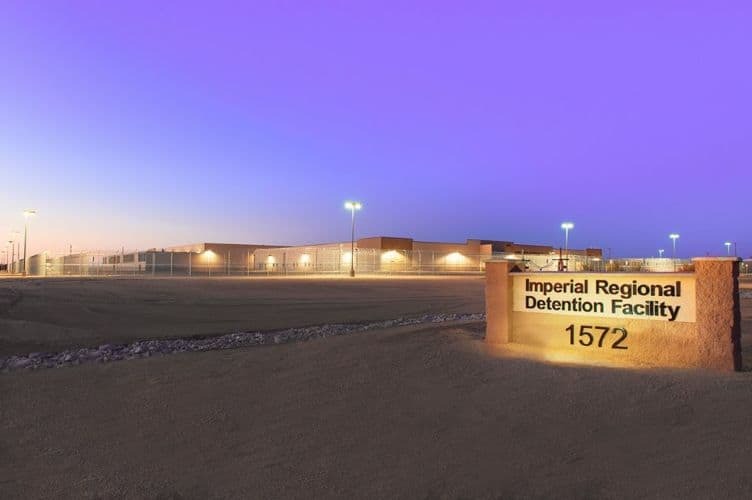 A private prison may not be the type of economic development people hoped for in Uinta County, but it’s what’s available, said Craig Welling, a county commissioner. The opportunity has arisen in part from Utah politics, Welling said. Salt Lake City does not consider itself a “sanctuary city,” where local law enforcement is prohibited from interacting with ICE. However, in May the city joined others to file a friend-of-the-court brief against a Trump executive order targeting sanctuary jurisdictions. Such antipathy to a federal immigration crackdown extends to the surrounding counties, Welling said. The need for a detainment facility in the area predates the Trump administration, however, Murphy said. The projected number of 500 beds is based on the numbers of ICE detainees held in various Utah county jails over the last ten years while awaiting hearings. The facility would have the potential to be expanded to 1,000 beds, he said. “There’s always a risk with these facilities,” Murphy said. The risk is that the nation’s immigration policy could change and detentions would slow — either because of decreased enforcement policies or a reformed immigration system that gives more people paths to citizenship or slows the number of people entering the country illegally. But in this case, Murphy said he believed ICE was being “strategic” with the amount of detainment capacity it’s looking for. Pyatt, one of the local objectors, said she does not want to see Evanston profit from a wave of enforcement actions directed at immigrants in an attempt to please Trump’s populist base. “I hate to see Evanston fall into a trap of negativity,” she said. The recent ICE request for information is part of a move by the Trump administration to increase the nation’s holding capacity for immigration prisoners across the country, according to a report in USA Today. The detention facility idea reminded Pyatt of a dark chapter in Wyoming’s history, she said. Following the bombing of Pearl Harbor in 1941, the War Department built an internment camp near Wyoming’s Heart Mountain for Americans of Japanese descent living on the West Coast. But the potential negatives are outweighed by the potential positives, South said. “A lot of [opponents] are thinking that it’s going to be a concentration camp,” he said. However, the county commissioners intend to ensure the lease would be for a humane, safe facility, he said. If the project advances, the commissioners intend to visit a similar MTC facility in California. “If we see any hiccups we’ll address them,” he said. South seemed to understand some detractors’ broader objections to detentions and deportations, however, and said he is no fan of the current federal immigration system himself. We have Heart Mountain. Why would we want to repeat dreadful history? Why does anyone in Wyoming want to be a part of locking up people who are not criminals? That is detestable as a policy and no good can come from providing jobs oppressing people. We know that ICE is going into courts and hospitals and schools to find people that may be in the country without papers, identified primarily through racial profiling. We know that ICE has been guilty of excessive force on numerous occasions. We know that people are being held in these centers who are citizens but are not allowed to access the papers to prove it. We know that families are being separated and that children are not receiving proper care and that access to attorneys is not being provided. And we know that the wait for hearings can stretch into years with limited or no contact with the outside world. Why on earth would anyone want to be a part of that? The performance of private prisons and detention centers has been terrible and the need to keep them fully occupied for profit overrides compassion and the provision of legal and human rights to those locked inside. This is no way to provide jobs. It is a way to bring illegal, corrupt, and morally disgraceful influences into the community of Evanston and the state as a whole. If the officials in Evanston cannot stand against something so totally negative, but prefer some low paying jobs and a building to tax, then state officials must step in to stop such a blight on our state. Heart Mountain is already a terrible and regrettable piece of our history and we do not need to demonstrate once again that we are willing to sacrifice rule of law and human rights in favor of a few dollars. Just check out Louisiana’s Private Prison Industry. They spend half the day calling around for prisoners to insure there’s never an empty bed. Let’s all be psychopaths! Yay! Grrrrr. If you think there is a difference between a detainee and an inmate, talk to the Americans of Japanese descent who were “detained” during World War II.